Festival & concert season is now upon us. This is my favorite time of the year for obvious reasons. From the good music, to the warm weather, to the bohemian styles, you cannot help but love it all. 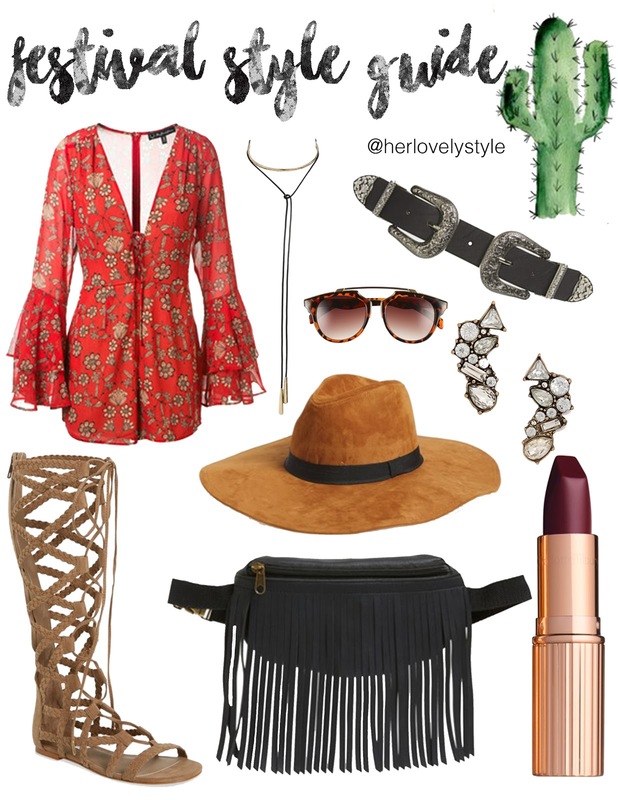 I wanted to create a simple collage with an outfit that would be perfect for wearing to a concert or even a night out. Fringe has been a hot trend for awhile now and I believe it will not be going away any time soon. A 'fanny pack' is a must, so why not make it a cute one like this? You can easily store away your phone, camera, wallet and other accessories without lugging a purse around. Another trend that is very apparent this spring is the double buckle belts. We first saw them make their way into today's style with the help of Kendall Jenner and I am loving the look. Another favorite of mine is chokers. Do you guys remember wearing them years ago? It still blows my mind that they are a trend right now, but I cannot deny how much I love the comeback. In addition, gladiator sandals are probably your best solution to getting comfort AND style. We all know comfort is key when it comes to walking and dancing around all day. I also added a cute, dupe Dior pair of sunglasses that are only $13. Now, put on your fedora & lipstick and you have got yourself an on-trend festival outfit!